Master of the house, President Macron has heard the people singing a song of angry men. Though it's possible he has a heart full of love, many French citizens still see him as living in a castle on a cloud. If you've never heard the play Les Miserables, or if you'd like to listen to it again, here's a good version on YouTube. Personally, I haven't been able to stop listening to it since the Yellow Jacket protests began. 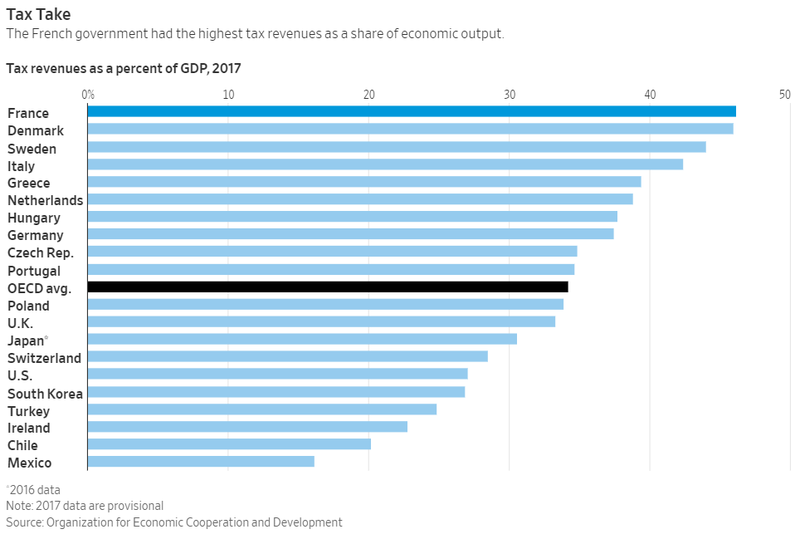 France has recently become the most taxed nation in the OECD, which could explain why the ongoing protests are one of the worst in the country's history. Macron's plea yesterday and his promise to raise the minimum wage may calm nerves just a bit, but the problem may yet persist. We'll need to see how things progress over the next few days. Certainly, the economic impact of a wage increase and less taxes is probably the least of the market's woes at this exact moment. Nor the estimated $11 billion loss for small businesses. What's most concerning for global markets though is not just Paris. As central banks begin to engage in economic tightening we'll need to keep our eyes open and hope this doesn't spread. Stocks sunk to new depths yesterday with the Dow Jones reaching its lowest point since May 4th. The drop came as volatility increased and bond yields continued to slide. Though things were indeed looking down, at the end of the day came a miraculous recovery and US Indices began a rally somehow managing to end in the green. Most other markets were already closed by the time the rally came in and so did not reap the benefits. Perhaps more notable is that the banking sector didn't recover at all. 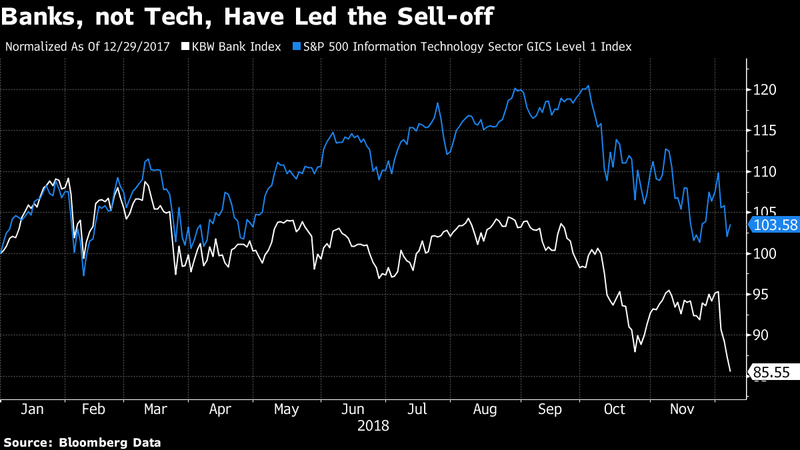 In this graph from Bloomberg, we can see the Bank Index (white) against the tech sector (blue). Stocks today are decidedly flat today. Perhaps it's a coincidence but the Dow Jones is showing a heavy resistance line exactly at 24601. If it manages to get over that line, the recovery could very well sustain a bit longer. Please note: All data, figures & graphs are valid as of December 11th. All trading carries risk. Only risk capital you can afford to lose.